The Premier Pet™ Premium Crystal Litter helps keep your cat’s litter box smelling fresh and clean. 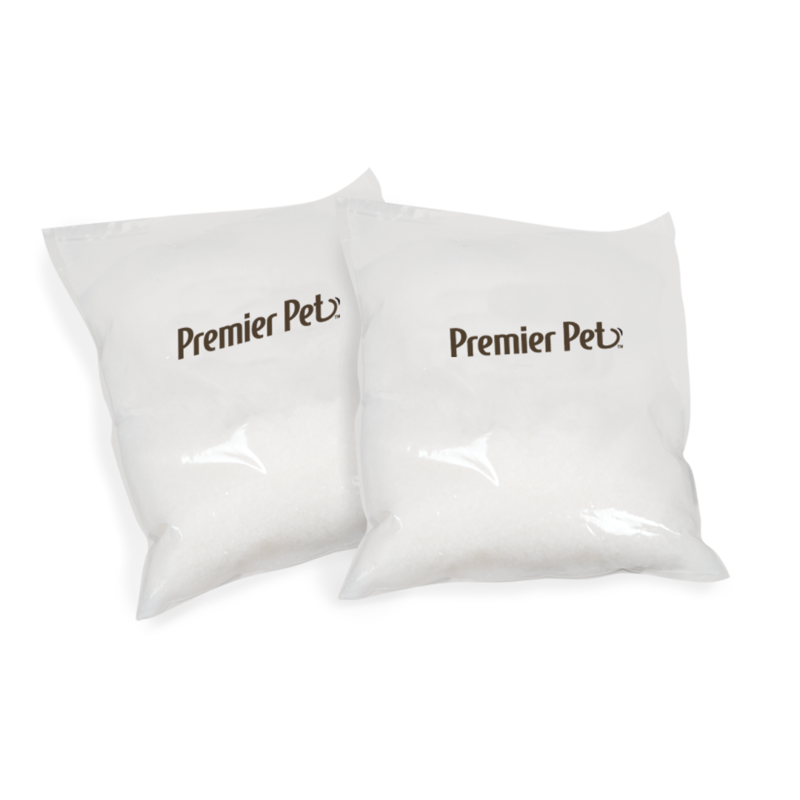 Each pre-portioned bag of crystals provide superior odor control for weeks by absorbing moisture and dehydrating waste on contact. They keep your litter box area cleaner as well with a 99% dust free makeup and lower tracking. Transitioning your cat from clay litter to crystal litter is simple and most cats adapt quickly. Choose between the fresh Original scent, the soothing, light Lavender scent or the perfume and dye free Sensitive formula. One bag should last one month in a single cat household keeping you and your cat happy with a fresh smelling home. The crystal litter does work with any traditional litter box, but is most effective when used with the Premier Pet™ Dual Fresh Litter Box System.